With numerous CMS available, you might feel lost and don't know which one to choose. You have to compare all the pros and cons of the CMSes and make your decision. Here is a list of things you should look for in a CMS and 5 CMSes that have been tested by thousands of users and are provn to be great WordPress alternatives. For starters, Blogger.com is your first choice. logger is strictly a blogging tool. It is easy to use and offers many templates likes WordPress. Besides, you can convert Template from WordPress to Blogger. Creating content is easy in Blogger, with interface that resembles Google Docs. It can be integrated to Adsense. It’s perhaps the most technical and the most powerful of the trifecta and requires the most skill to use to its full potential. Drupal offers better taxonomies, which makes it great for organizing sites with huge amounts of data. It also has advanced user management and multilingual support. Joomla was first released in 2005, which is almost as old as WordPress. It was the powerful competitor to WrodPress in the mid-2000s. Although WP has pulled ahead, Joomla has more robust tools for managing users and communities. 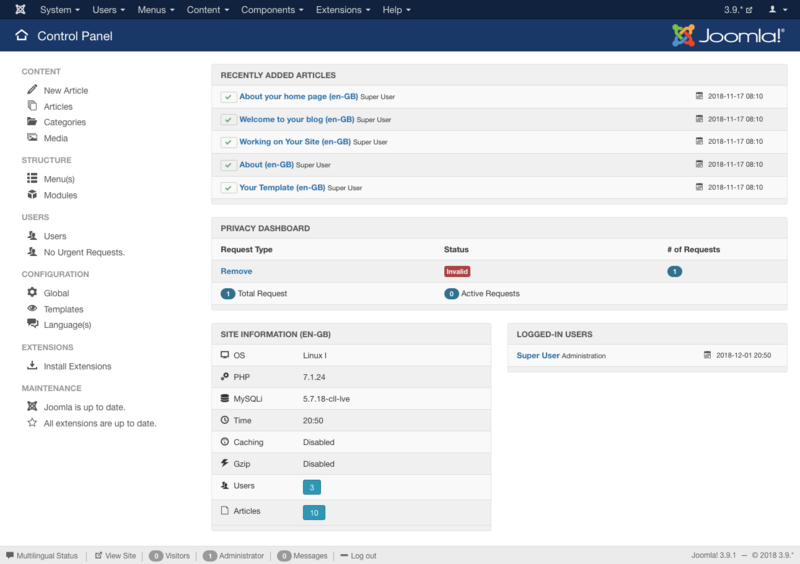 Joomla may seem a bit intimidating due to the technical appearance of the admin panel. WordPress is a lot more user-friendly. Zsite is open source and flexible for extension. Zsite is for companies which need marketing websites, so we focus functions on online marketing features. Zsite has functions such as article, product, member, comment, help, blog, so to cater to online marketing. It also offers quite inclusive e-shop and membership. I personally like Wix. It is the best all-round drag and drop website builder in the market today. Wix is online CMS and free, and it is easy to get started building your website. You only need to pay the hosting or domain name you want to buy via Wix. Wix is also a versatile e-commerce website builder that is ideal for small/independent businesses. It offers you a huge range of professionally designed e-commerce templates, includes all the essential features to get your store up and running, and offers integrated marketing features to help you promote your store too.